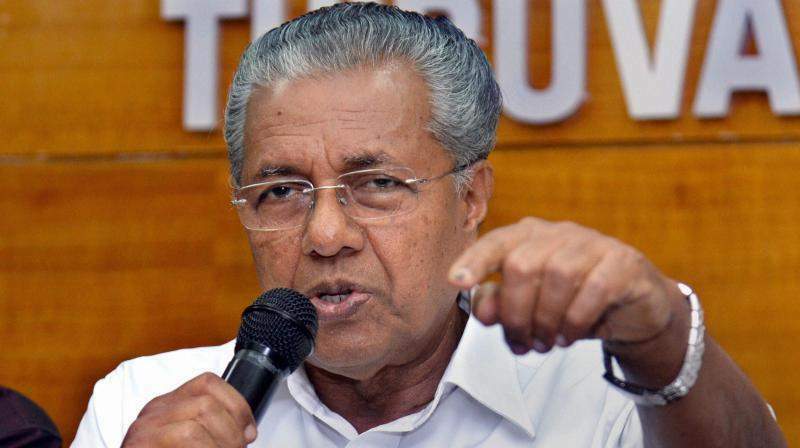 Pinarayi Vijayan on Thursday slammed the Central Board of Film Certification over stalling the documentary on Nobel Laureate Amartya Sen .
THIRUVANANTHAPURAM: Kerala Chief Minister Pinarayi Vijayan on Thursday slammed the Central Board of Film Certification (CBFC) over stalling a documentary on Nobel Laureate Amartya Sen due to the use of certain words. "Institutions like the Censor Board have to work in an independent manner and today the Centre is using these institutions as a tool to implement Hindutva agenda. This is highly improper and condemnable," said Vijayan in a Facebook post. Tilted "The Argumentative Indian", the one-hour-long documentary on the legendary economist was on Wednesday refused a green signal by the censor board over the use of words "cow", "Gujarat", "Hindu India" and "Hindutva view of India" by Sen.
"In the film, all these words are being said by Sen himself. Now the Censor Board says these words have to be deleted or beeped. This is nothing but an infringement of the rights that is given under the Constitution and this is nothing but fascist tendencies, which in no way can be accepted," said Vijayan. Made by economist Suman Ghosh over a period of 15 years, the documentary is structured as a free flowing conversation between Sen and his student and Cornell economics Professor Kaushik Basu. It has already been screened in New York and London besides a special screening in Kolkata on Monday.